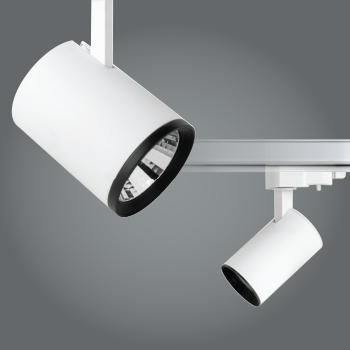 MARCO integrated LED tracklight offers a wide choice of beam angles ranging from 12°, 15°, 24°, 36° to 45°, making it ideal for accent and ambient lighting in retail and hospitality spaces. Incorporated with the Hybrid Reflector Technology, the MARCO series could deliver enhanced beam control, efficacy and excellent optics. Equipped with an Ultra RichColour option, the MARCO series delivers a superb colour rendering of up to Ra97 to optimize both the hue and saturation of colours, achieving a faithful colour rendering and consistency for retail applications. Available in high lumen packages from 1,000lm to 5,000lm, MARCO integrated LED tracklight offers high luminous efficacy, serving up to 50,000 hours of operating hours. Optional accessories of spread/rectangular lens, honeycomb louvre, barn doors and coloured filters are also available for improved glare control.